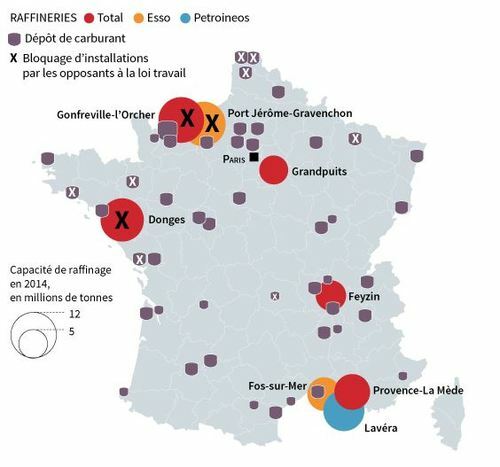 All eight of France's oil refineries have been hit by strikes over labour laws according to the CGT union. Two thousand petrol stations are running dry in France, with an intensifying oil sector strike causing widespread fuel shortages. Workers protesting against labour market reforms have halted operations, as well as blockaded petrol depots and oil terminals. Total runs 5 of the 8 refineries while Esso runs 2.